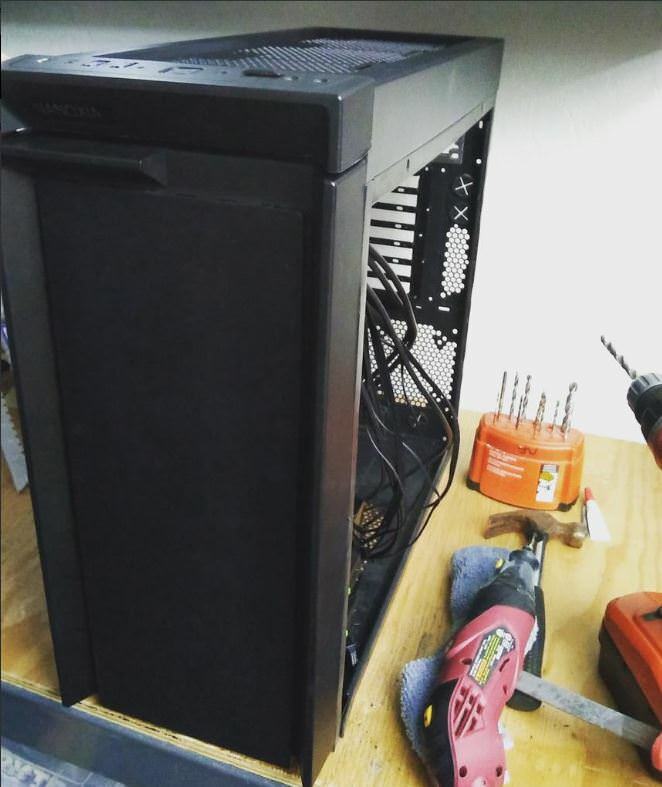 Just wanted to get the mod log started for our newest case mod! 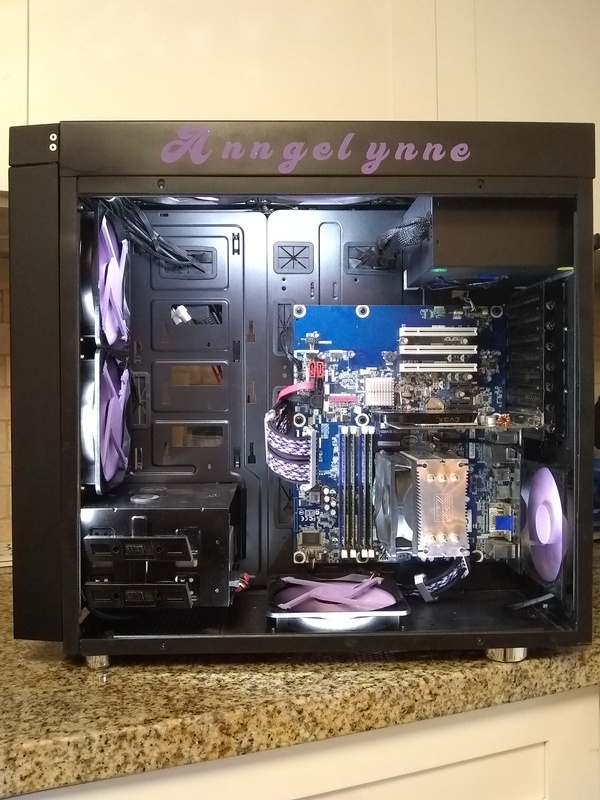 It won’t be anything super crazy just a simple themed “Pay it Forward” mod for my mother. 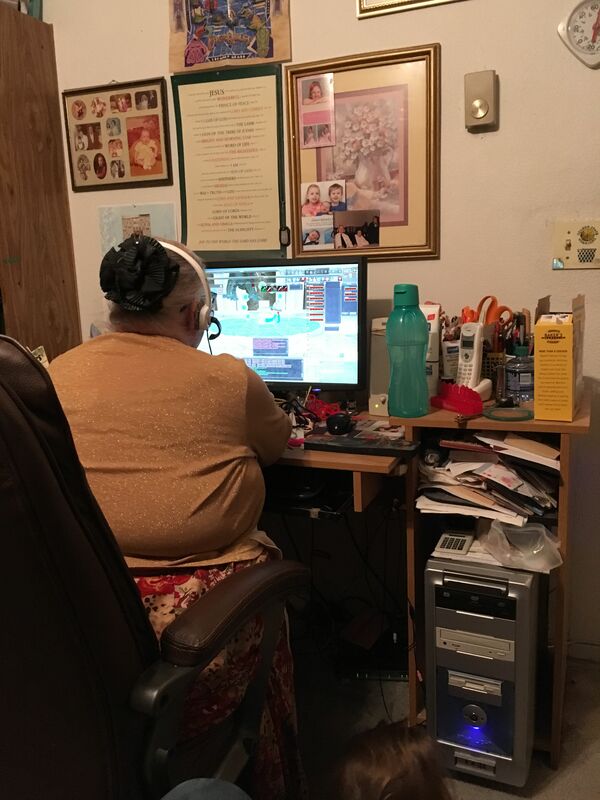 My mother was always encouraging and supportive in my gaming growing up and to this day still plays Everquest(15 years later…). 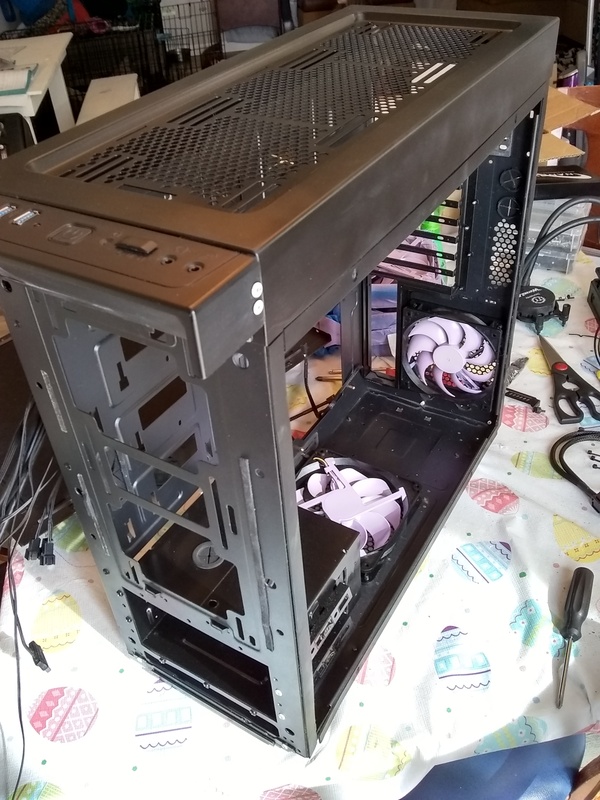 Because of this, I am transplanting her computer guts into a Nanoxia CoolForce 1 Tempered Glass edition case. 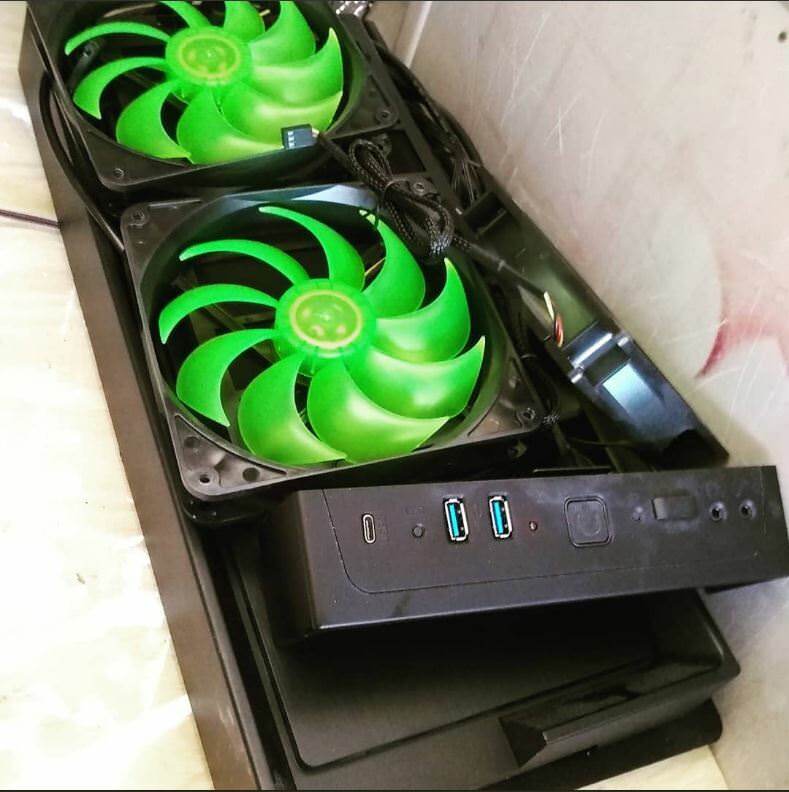 Thankfully Nanoxia is sponsoring the case, fans and LED strips to make this a reality. So as we continue down this journey, help me celebrate a belated birthday/retirement/Mother’s Day gift. 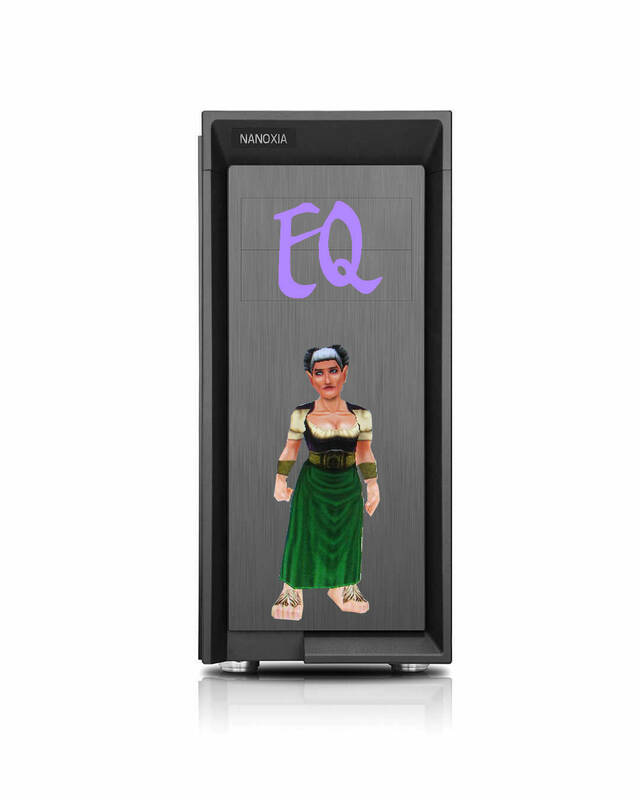 The front panel of the case will have the EQ logo in lavender and a vinyl decal shot of her halfling druid. 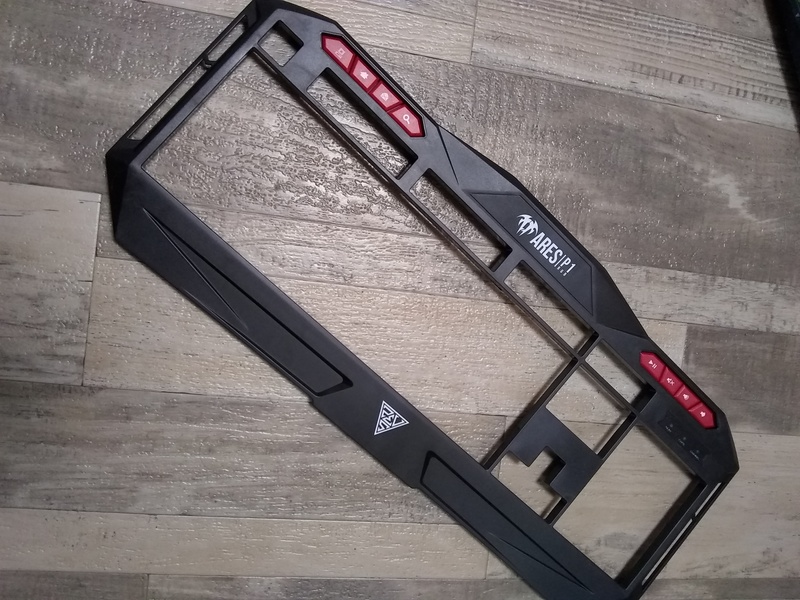 The glass side of the case will be frosted with the druid logo. 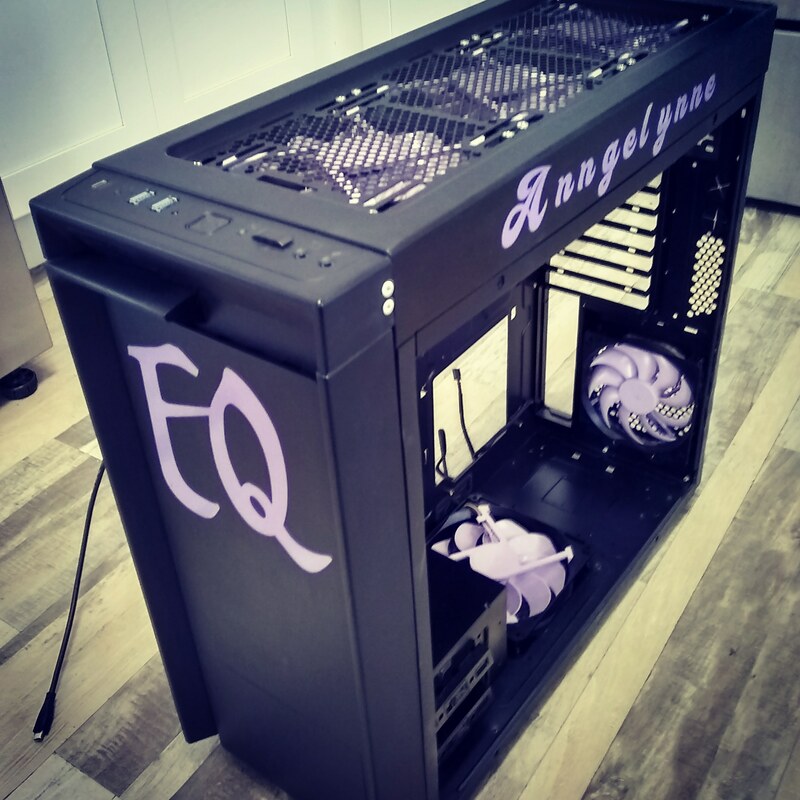 Her main character’s name on the custom PSU shroud. 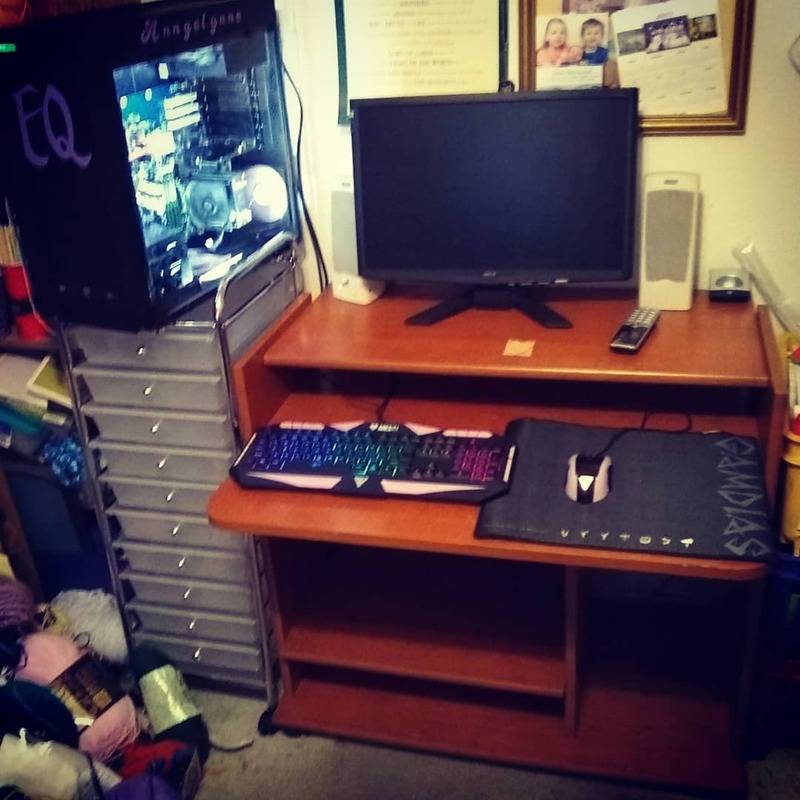 If we can manage to get the wood and hardware, upgrading her gaming workstation is a priority as her small desk does not have the storage to handle her crafts and computer. 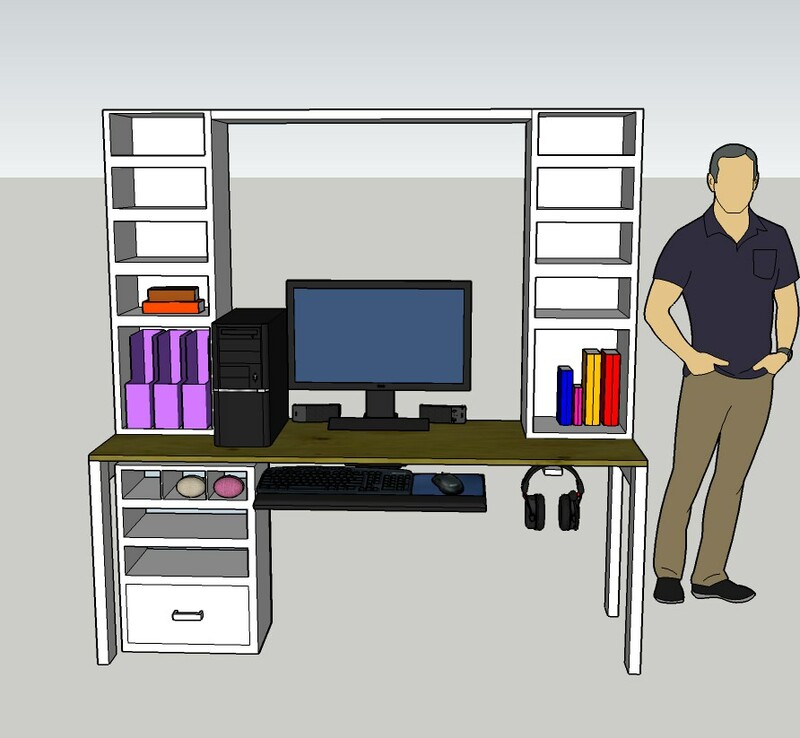 So I did up a concept for a desk that would provide her with all the organization she would need. 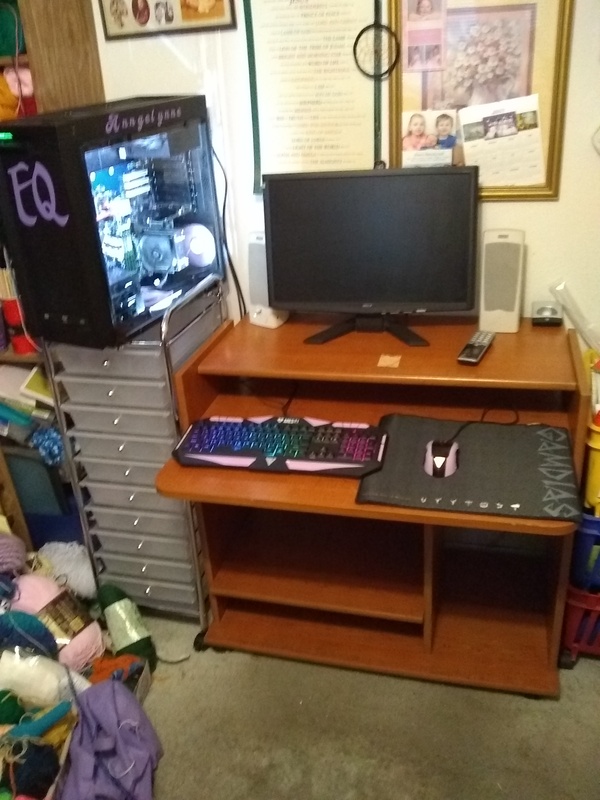 Here’s the final before and after of the build and her gaming station. Feel free to read through the forums to see how we accomplished this! Until the next update, Happy Modding! 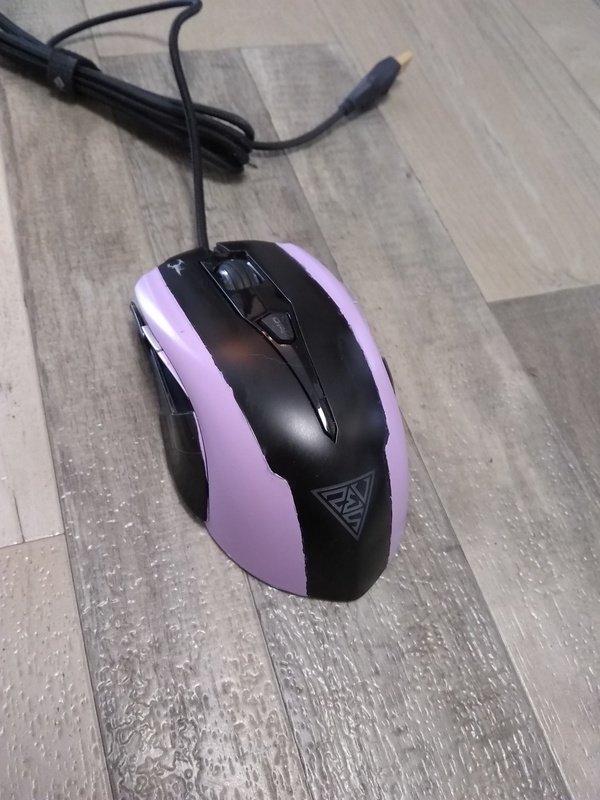 Last edited by DDCustomMods; 03-11-2019 at 09:20 AM. 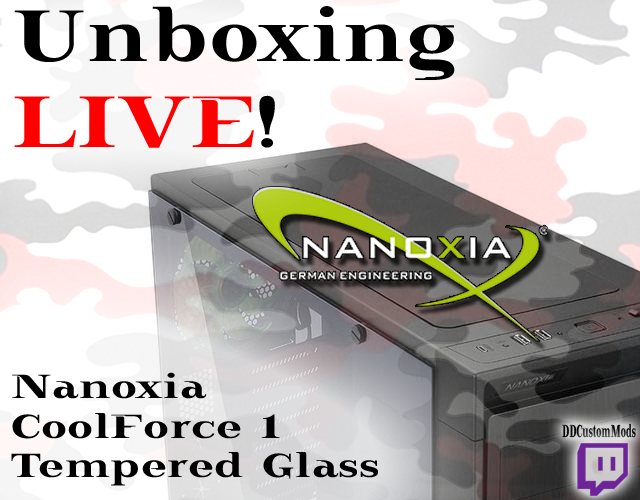 We will be kicking off our #STREAM packed weekend with a LIVE Unboxing of our newest mod PC case by #Nanoxia!! 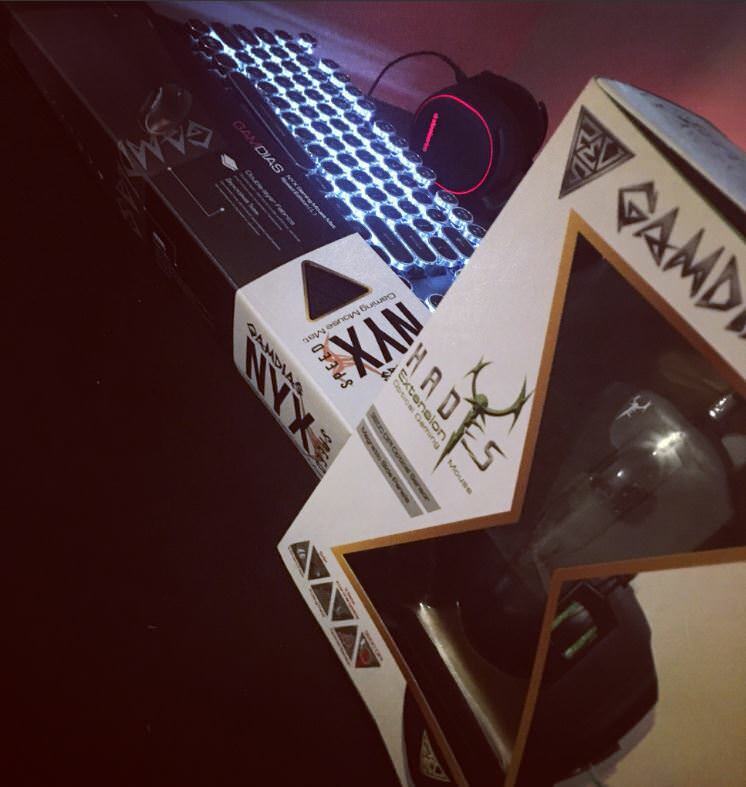 http://www.twitch.tv/DDCustomMods* <- Follow and click "Notify" so you don't miss it! 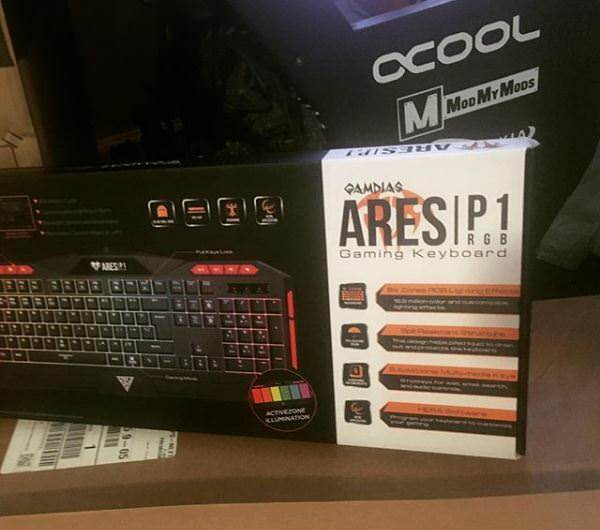 We will post the link to the recorded unboxing next week! 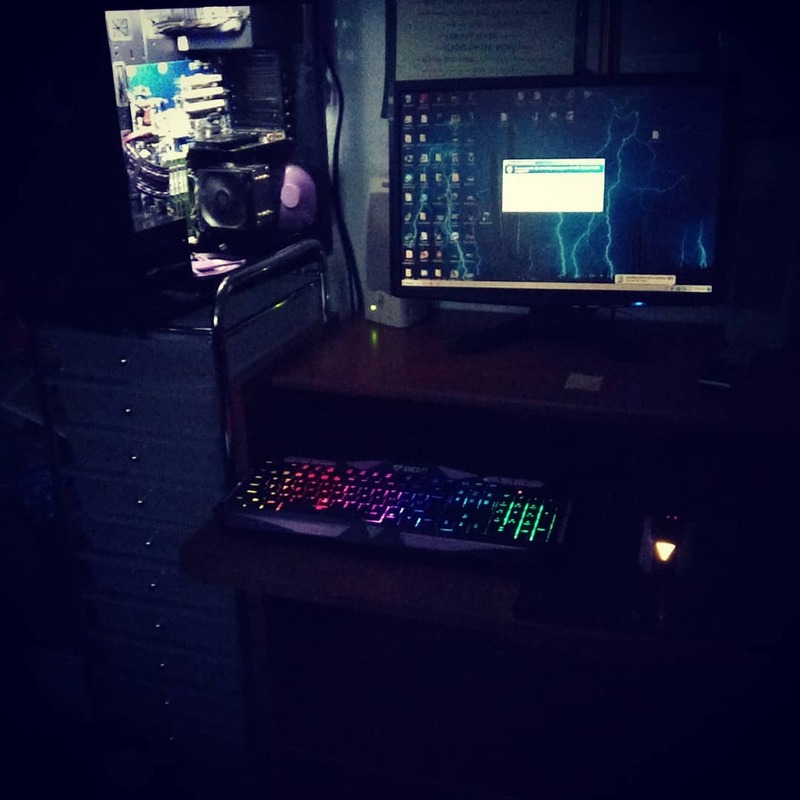 Time for a long overdue update! Let’s make this a big one! 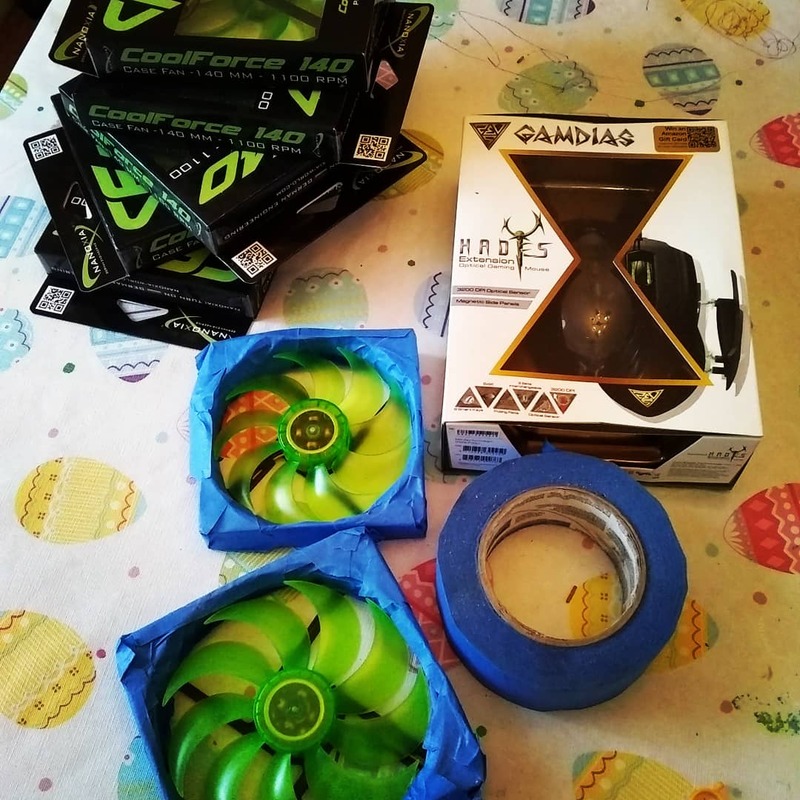 First I’d like to welcome aboard our newest sponsor GAMDIAS! 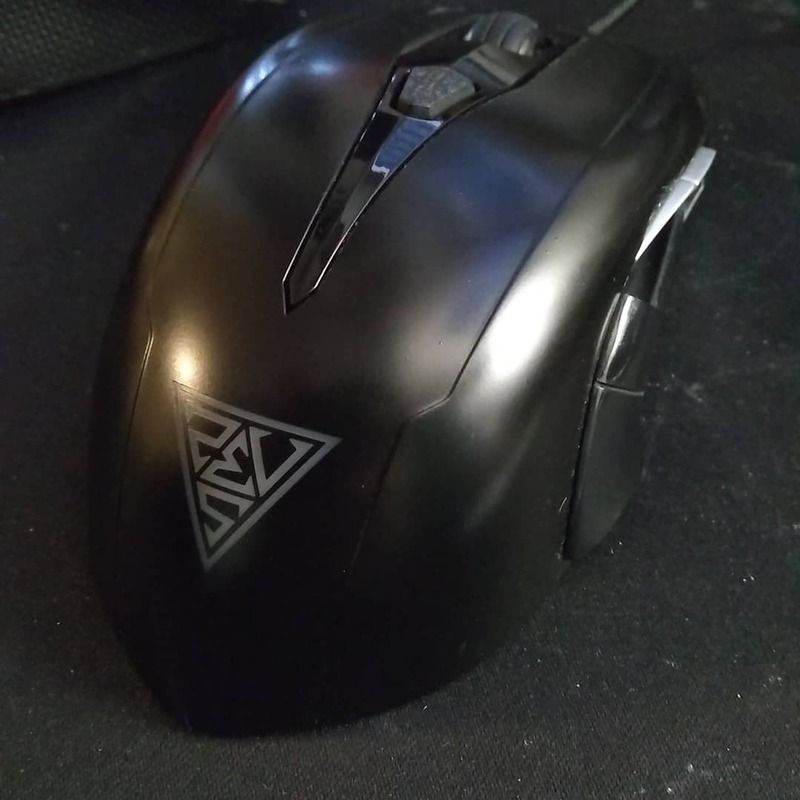 Who provided a mouse and mouse mat. 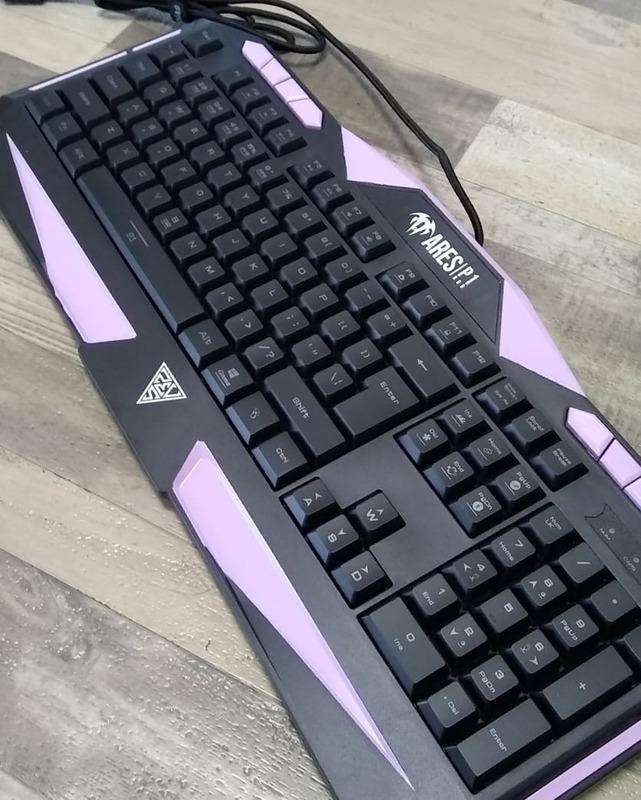 Also, our streaming partner @SomeRandomChicx from Twitch who provided the matching GAMDIAS keyboard! 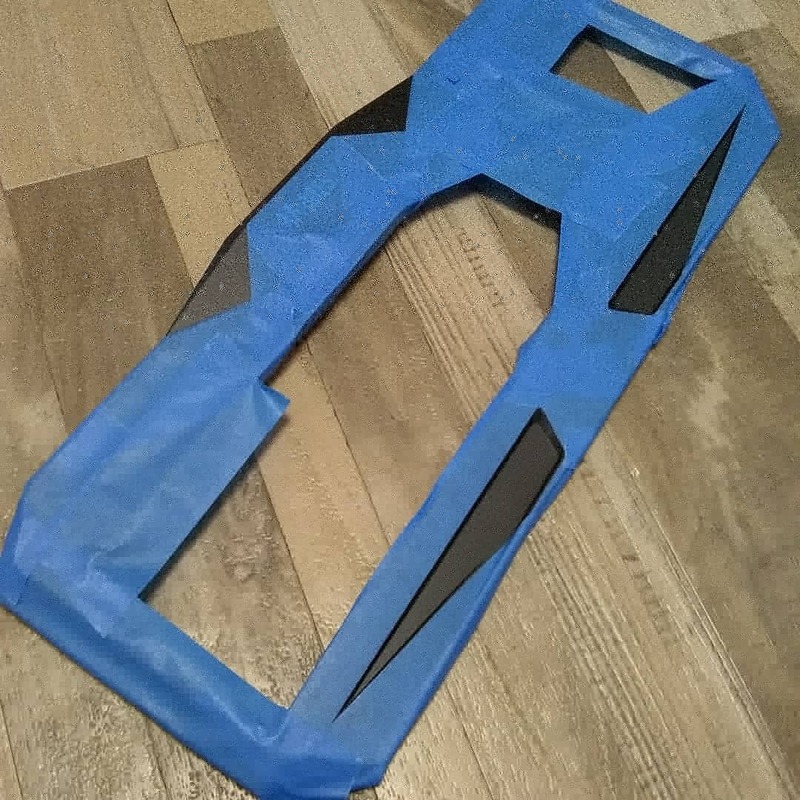 To continue with materials for this build, we ordered some sleeving to make our custom extensions from MainFrame Customs! 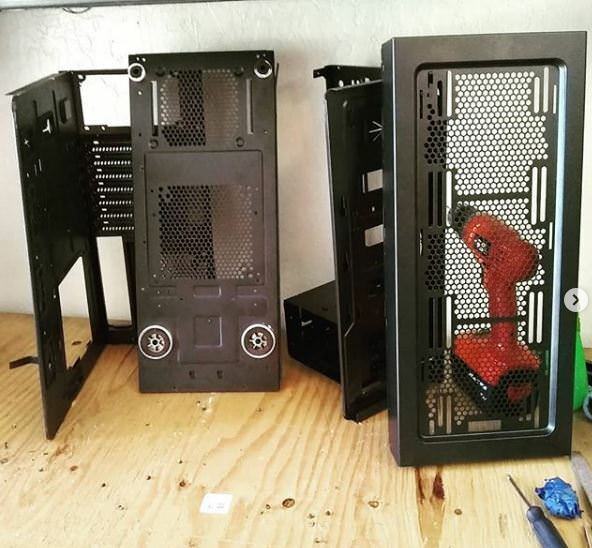 Now to get onto what you came for….. the case modding. 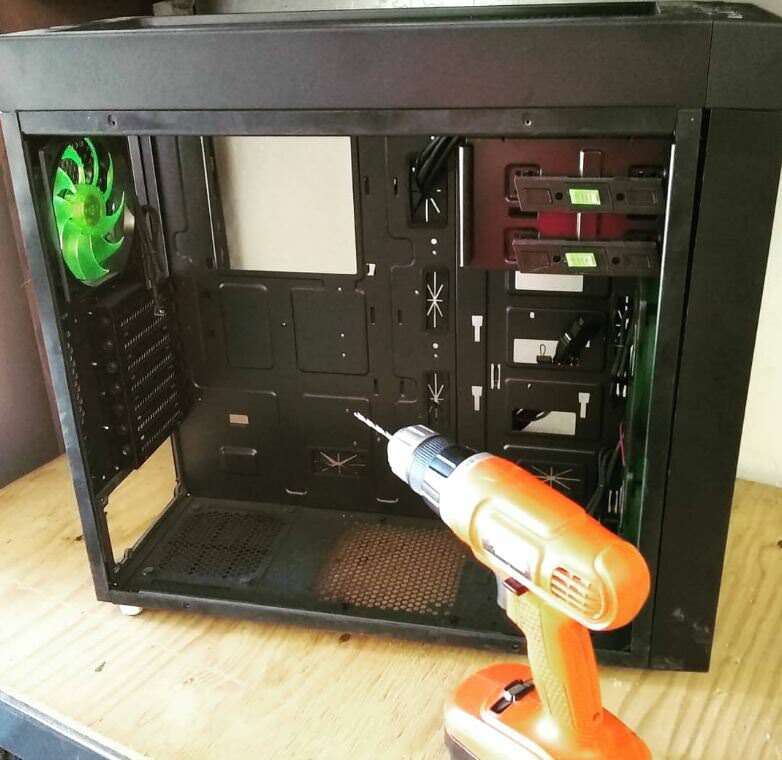 We unboxed the case and got straight to work. First, we flipped the optical cages. 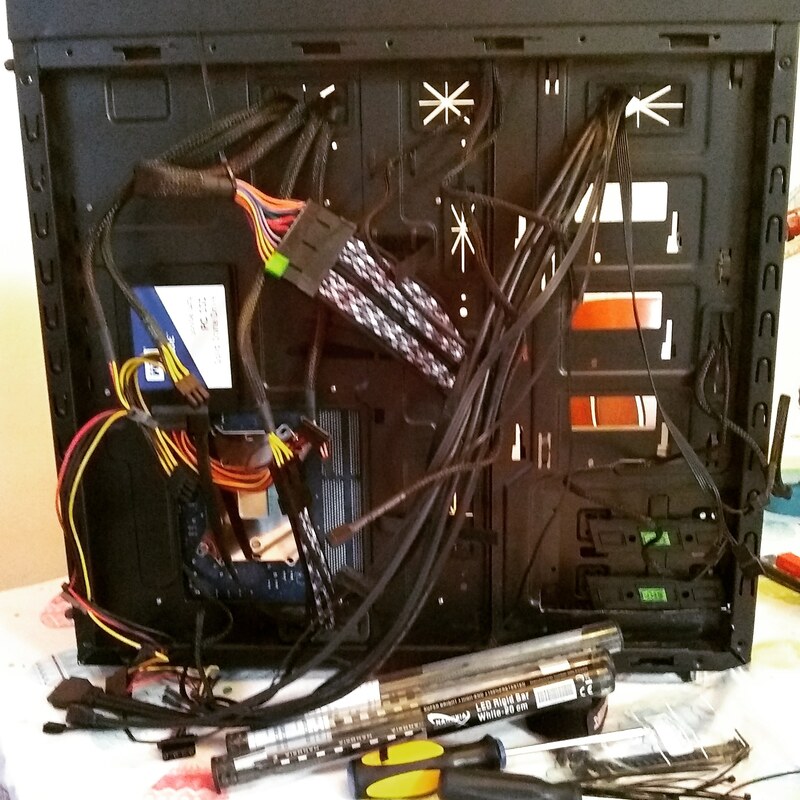 Then took the case apart and reassembled it in a reverse ATX configuration. 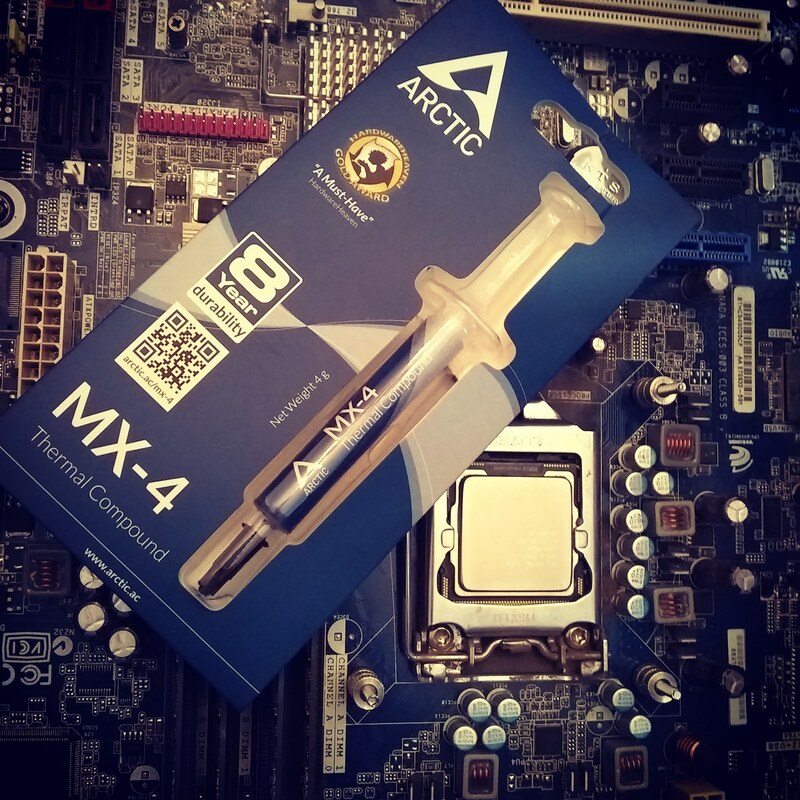 Next to strengthen the motherboard tray to finalize the mod. 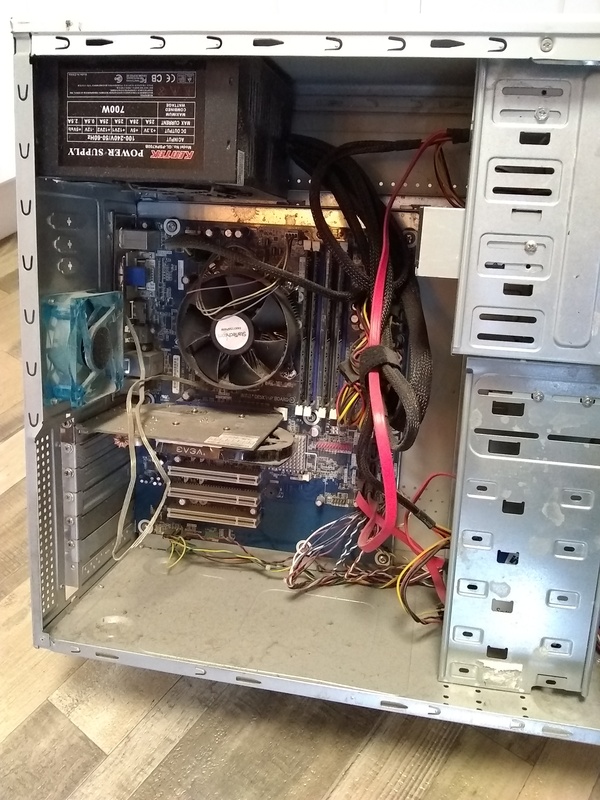 Our temporary pile of parts while we took the case apart. 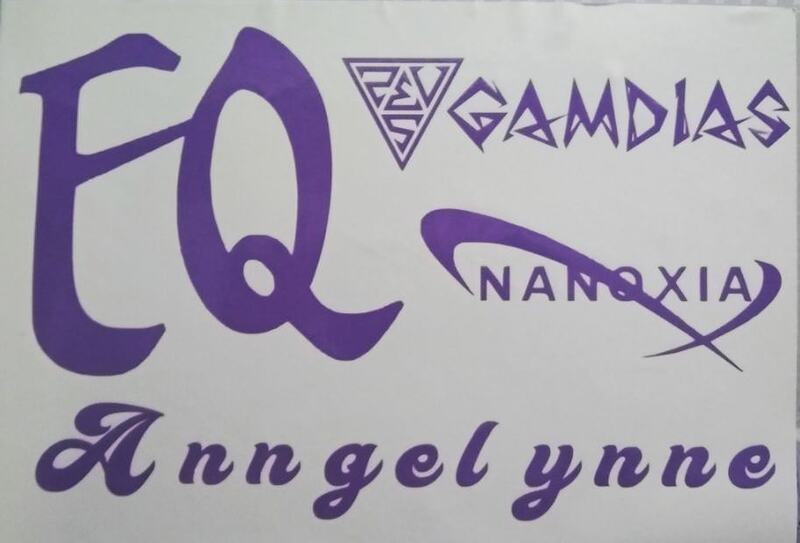 Our custom vinyl stickers! 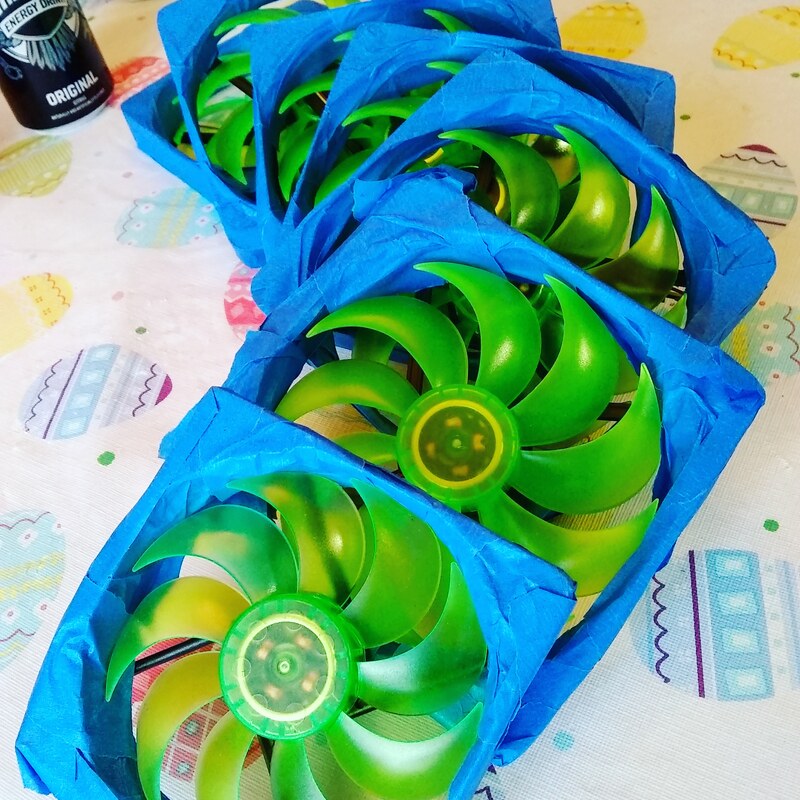 They will pop nicely against the black case! Did you miss me? 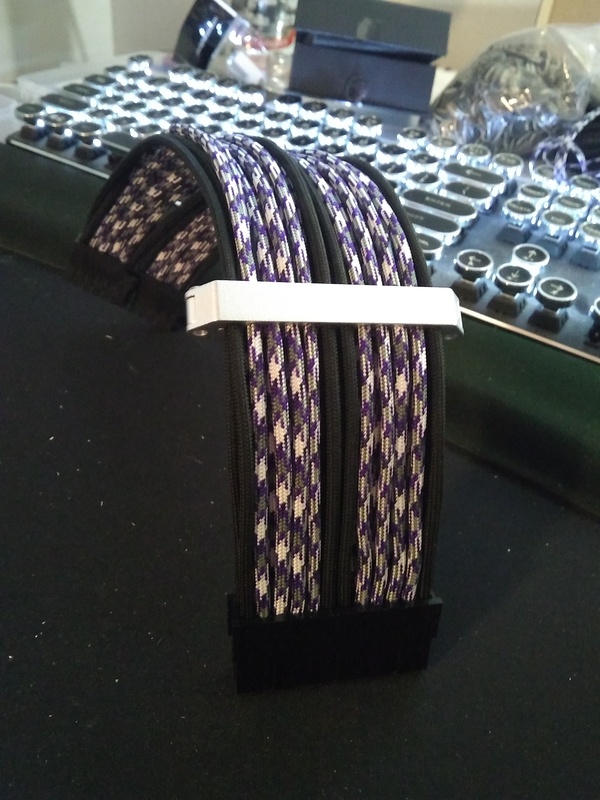 Sorry about the long pause between updates, but I wanted to bring you some of the custom sleeving we are doing for the build. 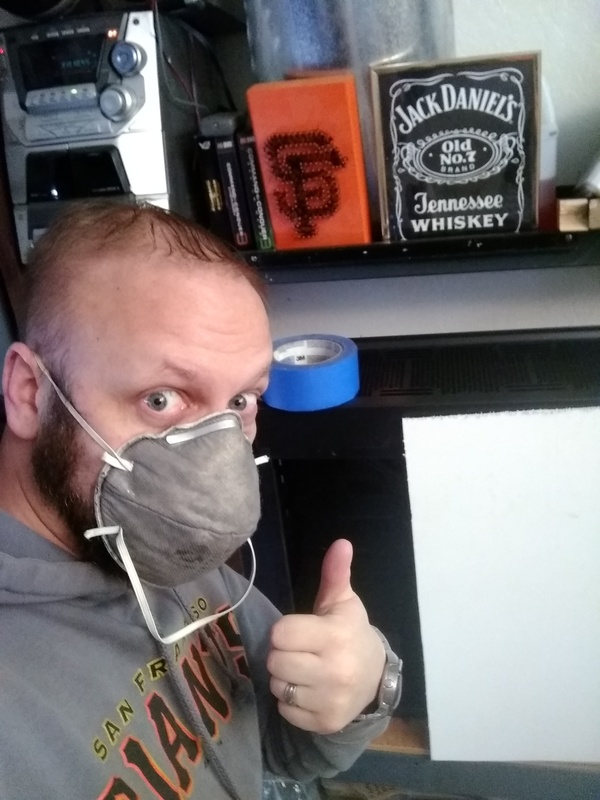 We’ve been on hiatus waiting for the weather to turn pleasant again so I can begin painting components. 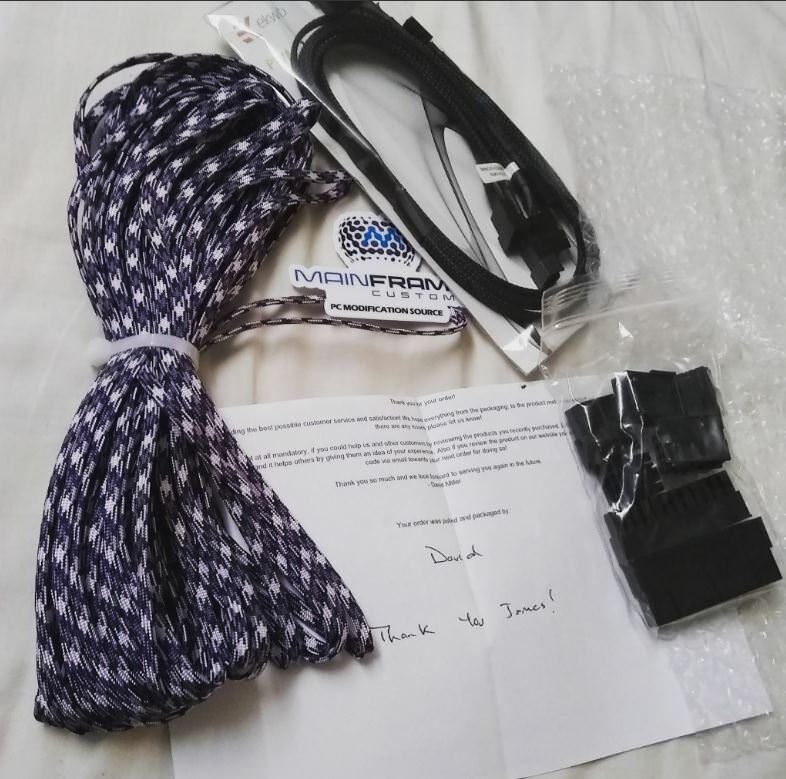 But we began sleeving……. 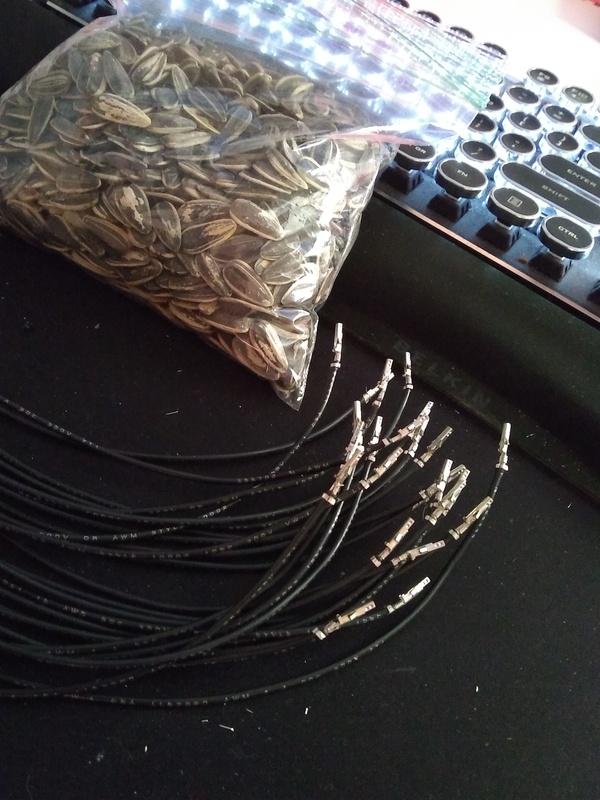 And like all tedious tasks, sunflower seeds are a must to increase concentration! 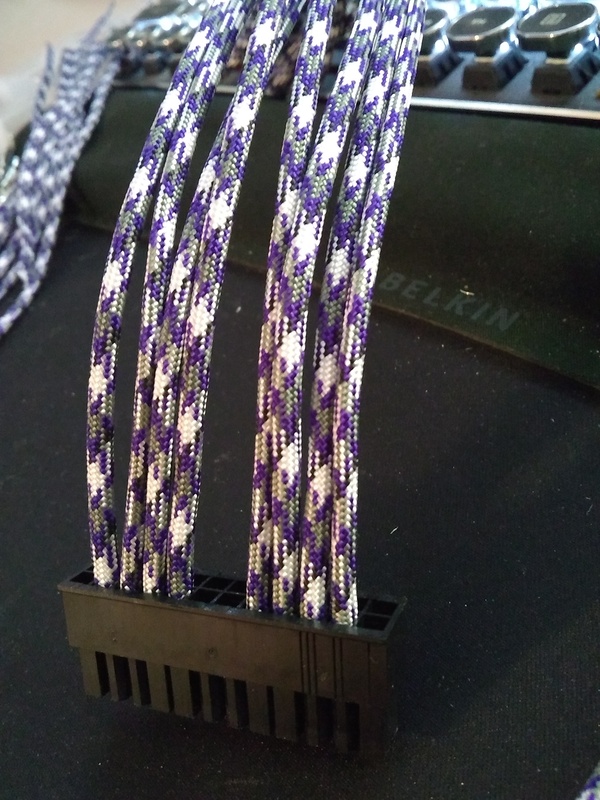 Starting with the 24 Pin we got our purple camo cables in place. 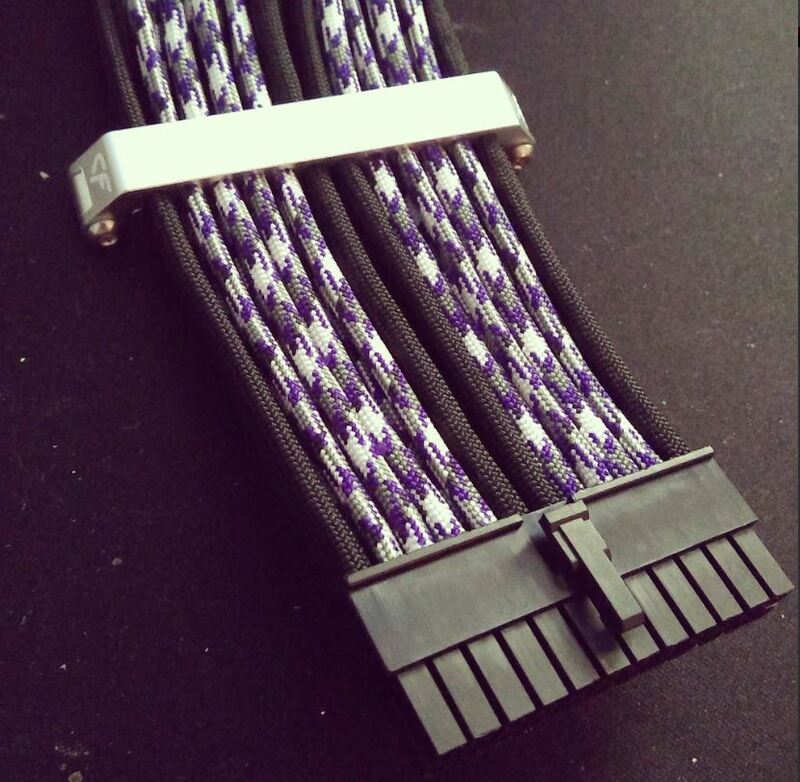 Final shots of our 24 pin, absolutely loving the boldness of these Nanoxia cable combs! 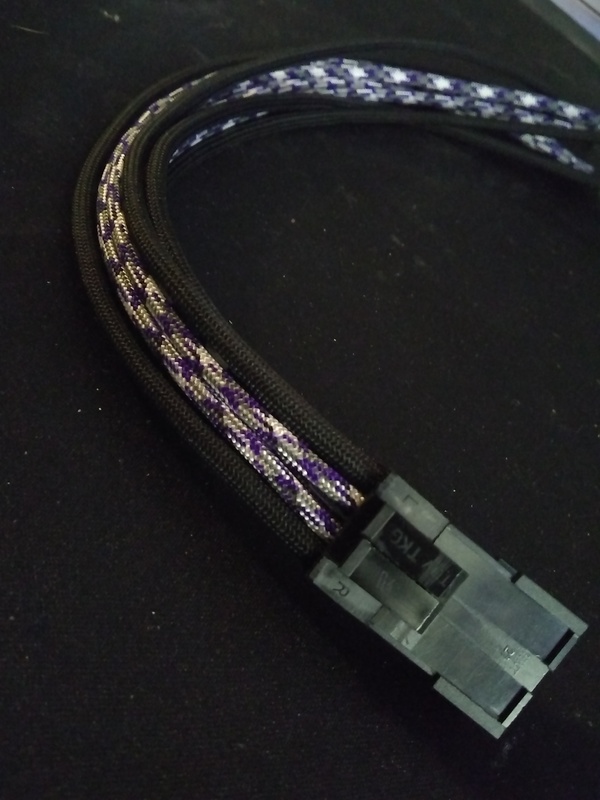 After the 24 pin was done, we switched gears and made our 8 pin EPS connector as well. Again I apologize about such a long delay in updates, hopefully as this winter is turning to spring I will have more to update soon!! I’m pleased to announce that #MomsMod is COMPLETE!! 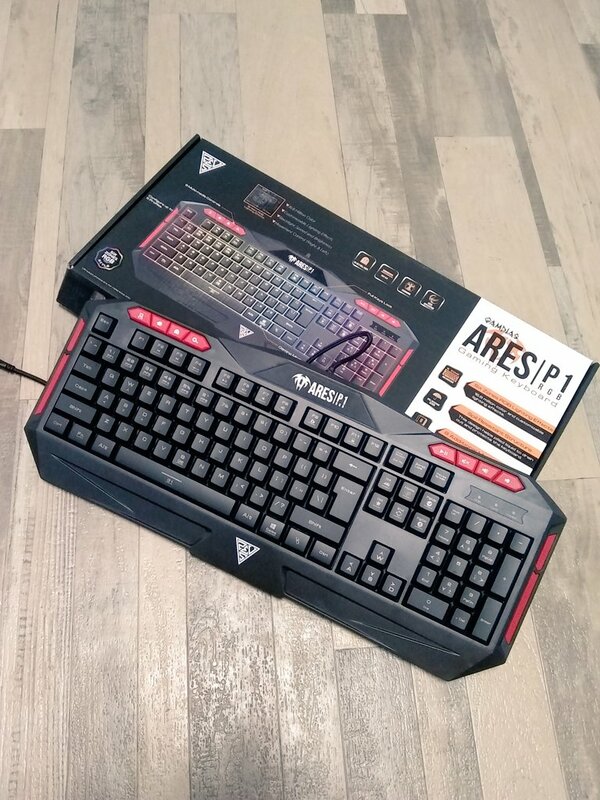 We start off first with the Gamdias peripherals, the Ares Keyboard and the Hades Mouse. 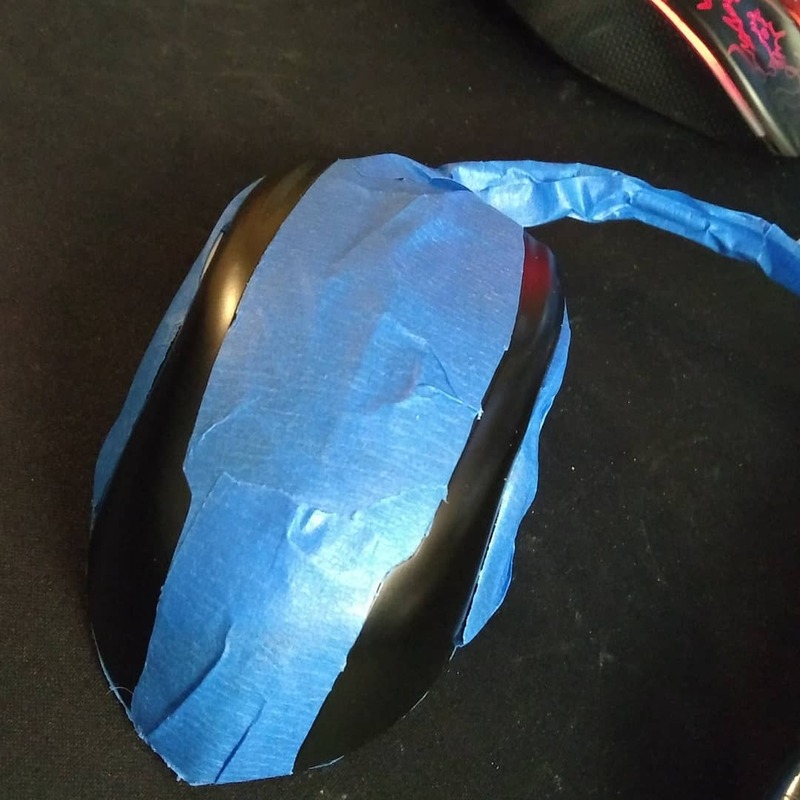 Mask and paint time. 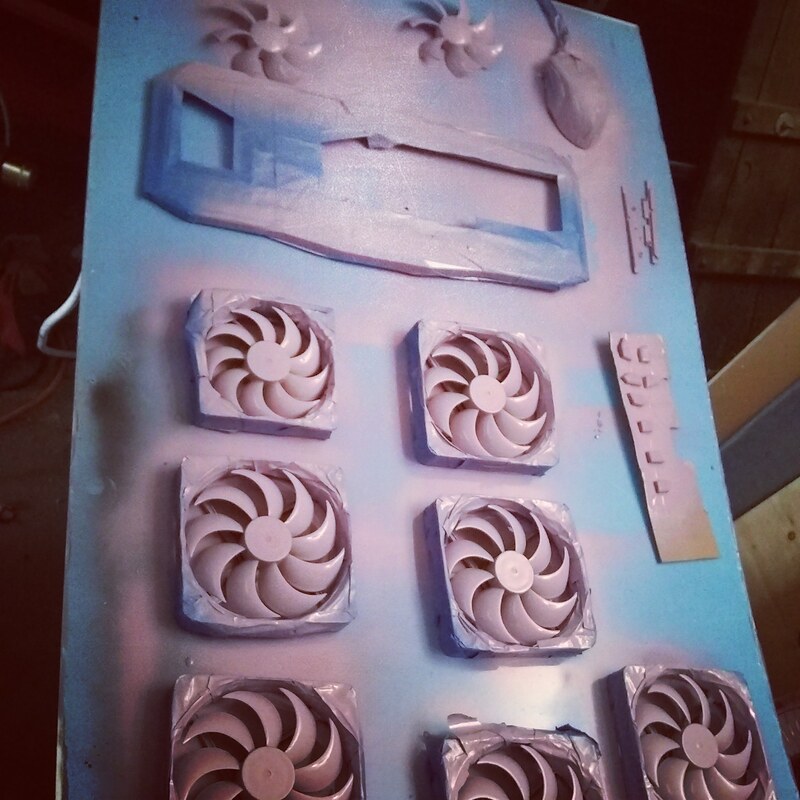 Switching over to the Nanoxia CoolForce 140mm fans, we mask the frame off so we can get the fans painted purple! 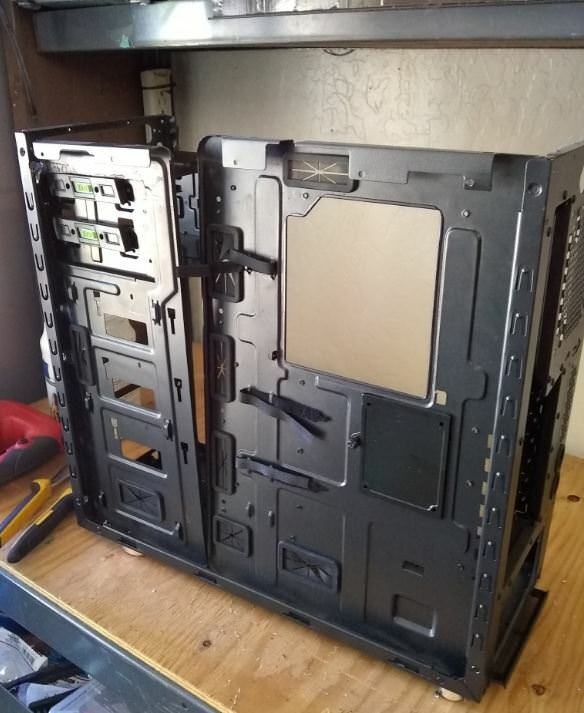 After a day of letting the paint dry, we are ready to start assembling the case. So far so good! That vinyl looks awesome! 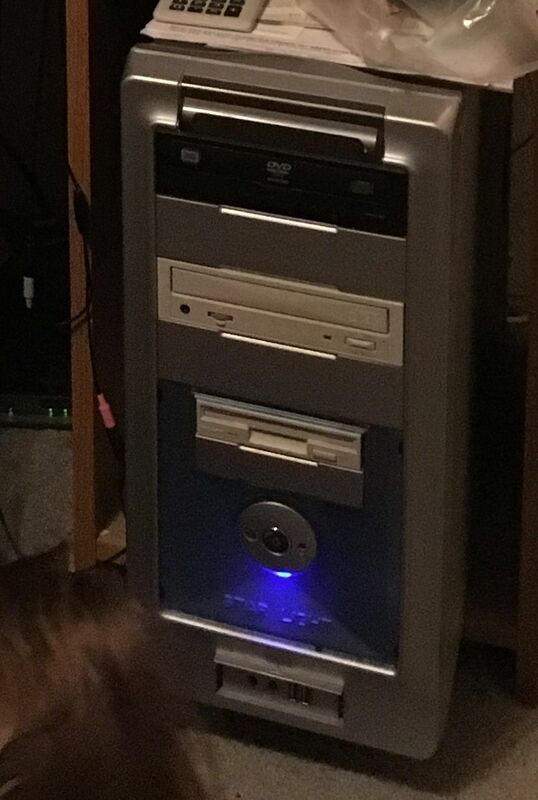 But now we need the hardware…. 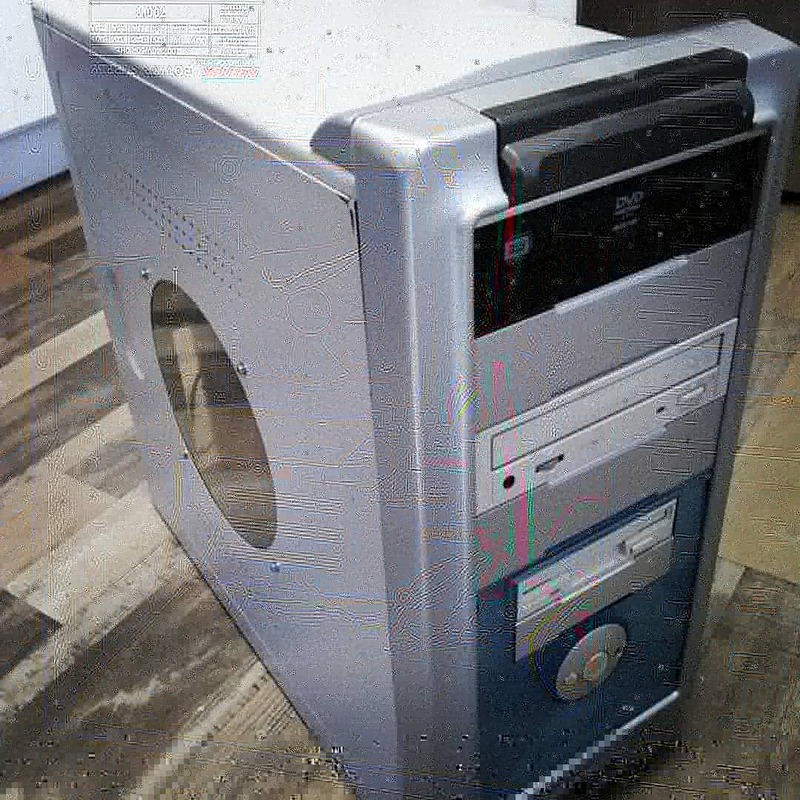 Let’s look at the tragic tower she has been using…… all that dust! YUCK! 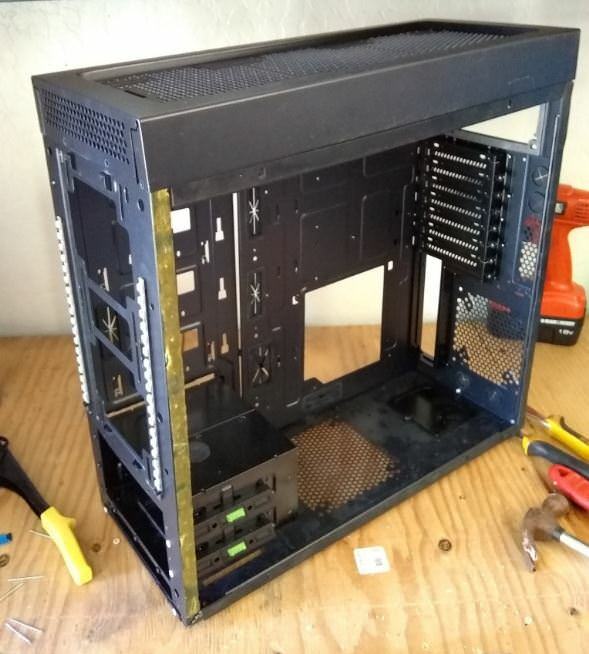 Rip the hardware out, salvage what’s acceptable, then get that Intel motherboard installed in the Nanoxia CoolForce1 case. I told you not to look! But…. 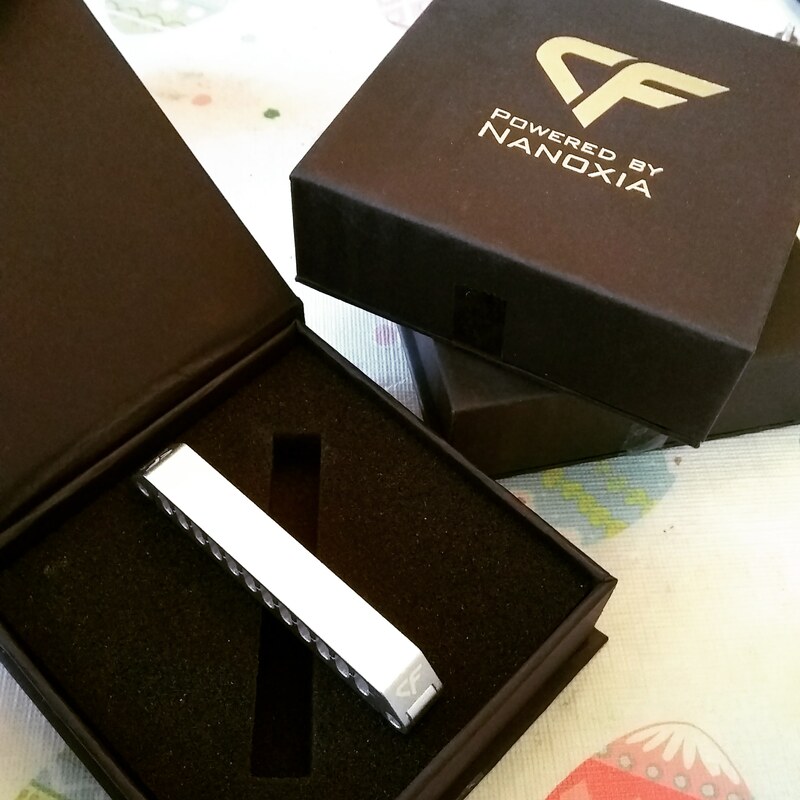 we can fix it with these lovely Nanoxia CoolForce combs!!! Boom! 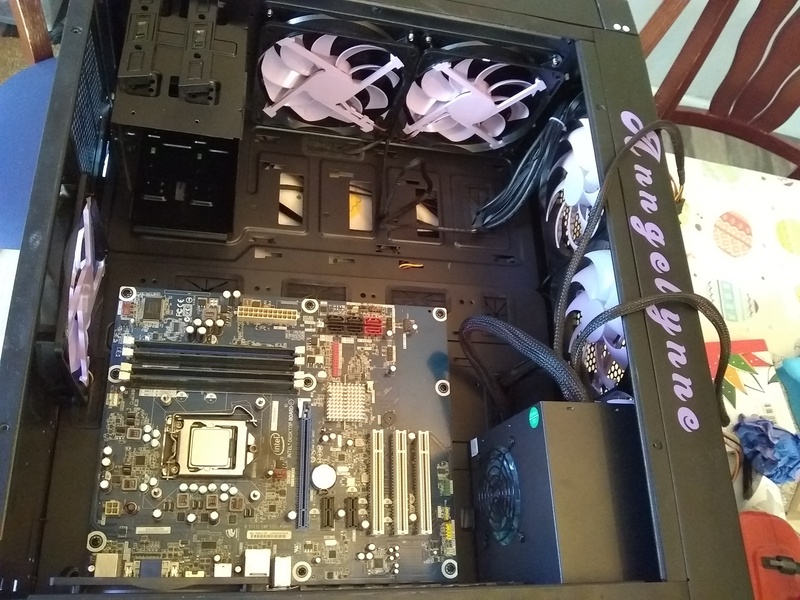 Build is complete! 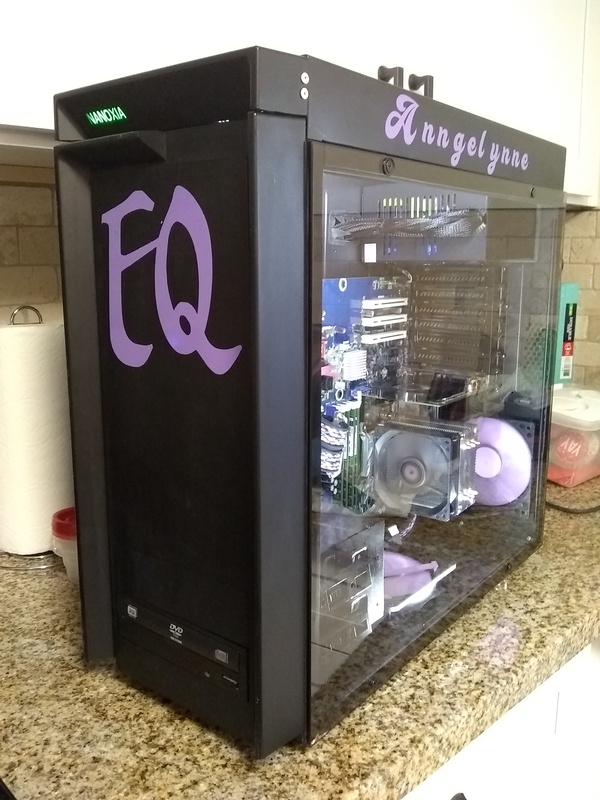 One Lavender Everquest case mod complete!! Now what…….?!?! Oh right, need to address that old desk mess situation…. And here’s an obligatory photo of me training the next generation of modders! 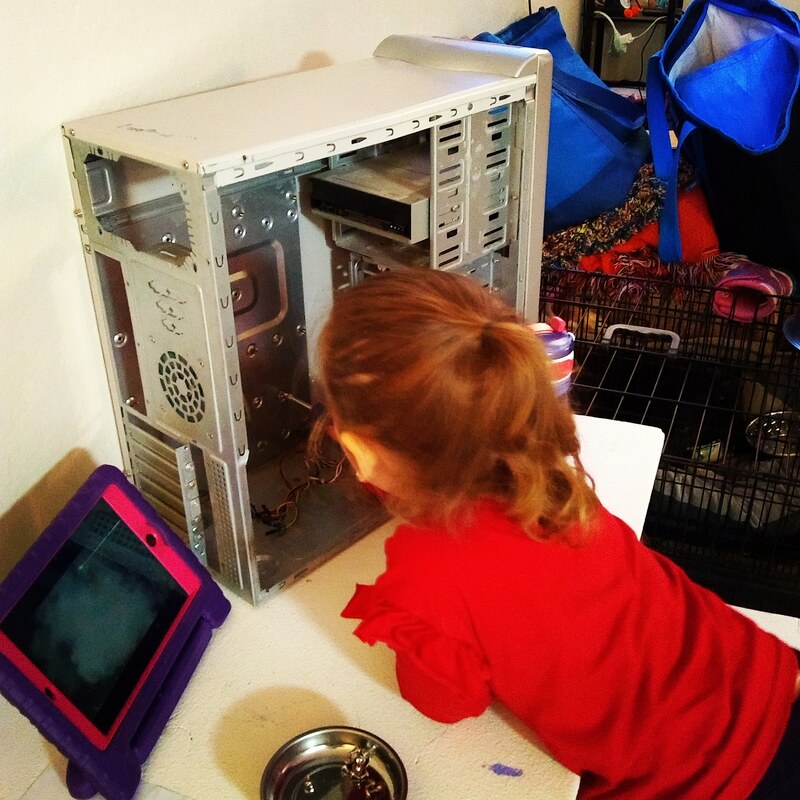 My 3 year old diligently putting screws into the motherboard tray while watching YouTube on her tablet. As always, thanks for joining us on this journey and keep modding!! 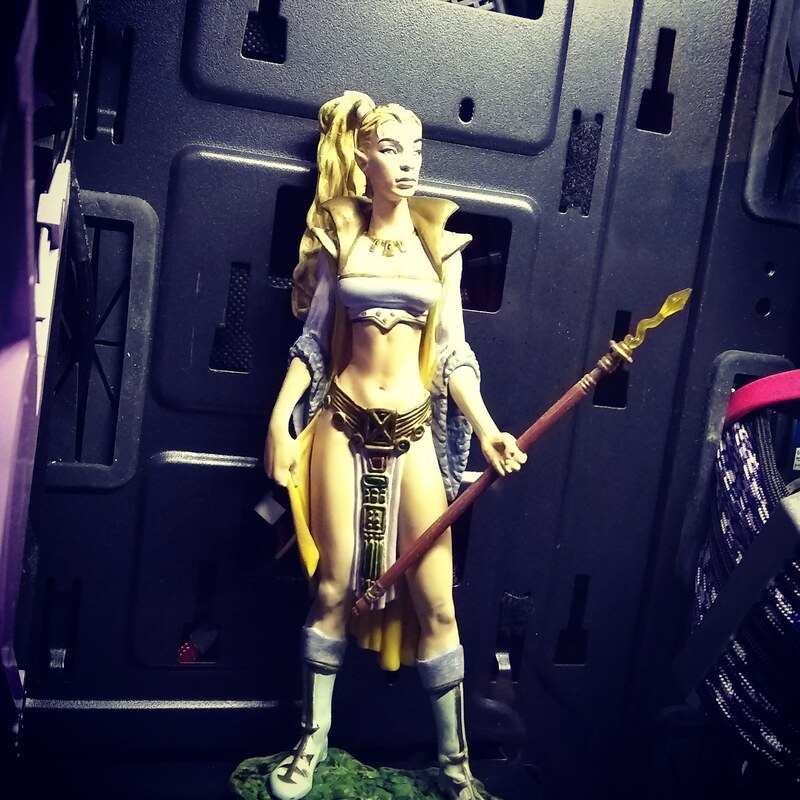 Last edited by DDCustomMods; 03-11-2019 at 09:16 AM.